Serving the North Georgia and Chattanooga Areas! TRY OUR "TAKE & BAKE", FAMILY STYLE MEALS. PERFECT FOR A FAMILY ON THE GO! MEALS CAN BE PICKED UP AT OUR SHOP AND DELIVERY IS ALSO AVAILABLE....CALL FOR DETAILS 706 891 2253 OR 423 313 3259. 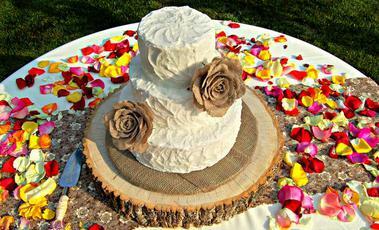 CALL OR EMAIL KIM TODAY TO BEGIN PLANNING YOUR "BIG DAY"
"A Professional Caterer with a Homemade Flavor"